Powersoft Global Solutions Ltd, an India-based RFID company, announced a standards-based RFID library solution, which includes a stock management system backed by self-service kiosks, return solutions and security management. With a provided handheld RFID reader, stock tasks can be performed in a fraction of the time it would normally take to complete manually. 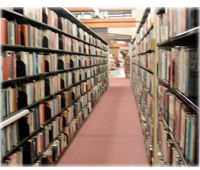 The handheld device can be used to scan across shelves in a matter of minutes, to perform a complete stock check of the entire library. RFID-enabled self-service kiosks enable patrons to issue, renew and return items without the need to interact directly with a member of staff. This allows staffs to focus on more important tasks, such as organizing and restocking shelves with media. Installed RFID smart gates cover most entrance and exit points to prevent items that has not been check out from leaving the premises.